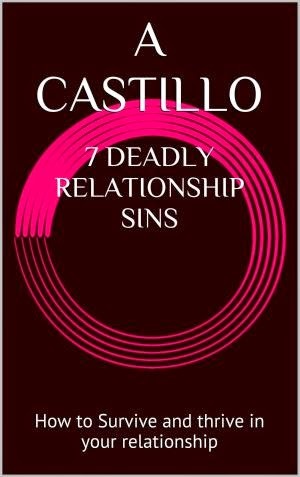 Today we are interviewing A. Castillo, author of "7 Deadly Relationship Sins | How to Survive and Thrive in Your Relationship." Mr Castillo, lives in San Antonio TX is a successful business owner, writer, and also sits on the board of directors for a charitable organization. Mr Castillo is currently working on his first full length fiction novel. Describe your book, "7 Deadly Relationship Sins," in a few sentences. Relationships are one of the most difficult things in life to maintain and one of the most rewarding experiences you will ever have in this life, this book will endeavor to explain why Relationships fail and how to avoid such failures. What inspired you to write a book about why relationships fail? Like most people I’ve had my share of relationship issues, I took a long hard look at all of my past relationships and learned why they failed I would like to share that knowledge so that my readers can avoid the heartache I went through. What are some of the biggest misconceptions people have about why relationships fail? The biggest misconception people have about why their relationships fail is that they think something is wrong with them, that they don’t deserve to be happy, well I’m here to tell them that this is not true everyone deserves to be happy in a relationship my book will show them how. How has technology, such as dating apps and sites, changed the dynamic of dating and relationships? When people first start dating, should they begin thinking about long-term compatibility? Or is it best to give it time to see how the relationship develops? The divorce rate seems to climb every year. Why do you think this is? Someone once said, “the number 1 cause of divorce is marriage.” It’s funny but technically true… people rush into marriage before knowing or testing the waters marriage is very important and that step needs to be taken once you KNOW that this person is the one. I hope that it will give people an idea of what issues can occur in a relationship and perhaps that knowledge will help them prevent or at least overcome these problems. I am actually working on my first full length fiction novel titled “Alex Castle." 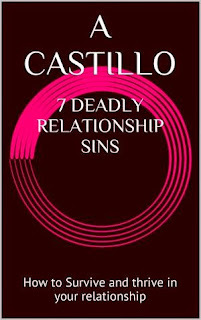 Get "7 Deadly Relationship Sins"